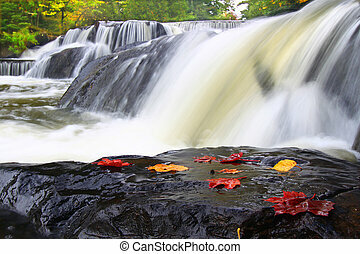 Bond falls waterfall in michigan. 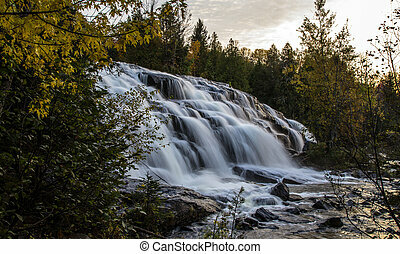 Cascades of bond falls in the upper peninsula of michigan. 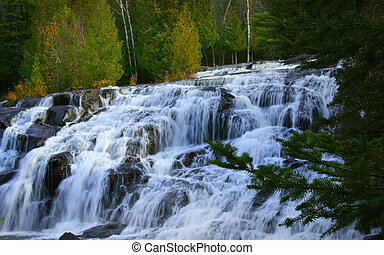 Cascades of Bond Falls in the upper peninsula of Michigan. 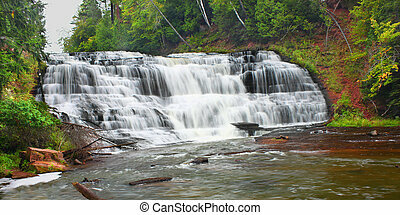 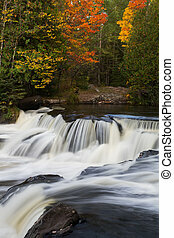 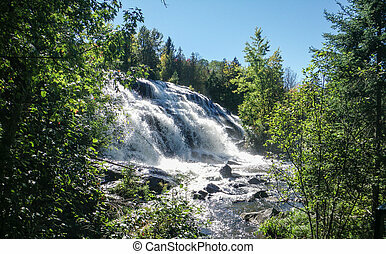 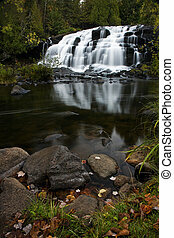 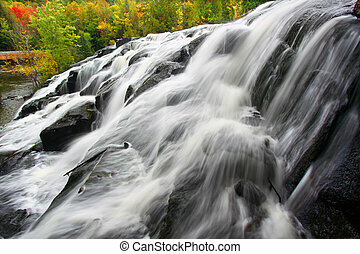 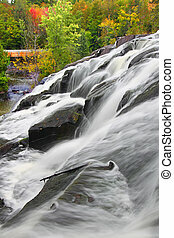 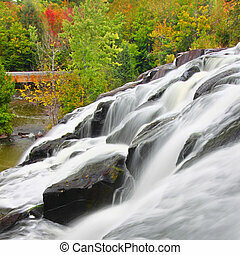 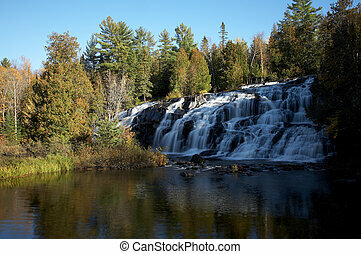 Photograph of one of the smaller upper falls at Bond Falls in the Upper Peninsula of Michigan. 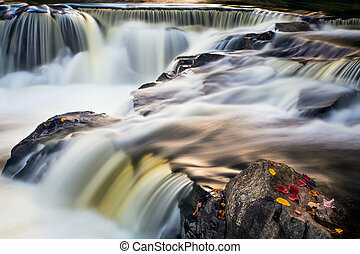 Flowing whitewater cascades over rock ledges at Bond Falls, a waterfall in Michigan's Upper Peninsula. 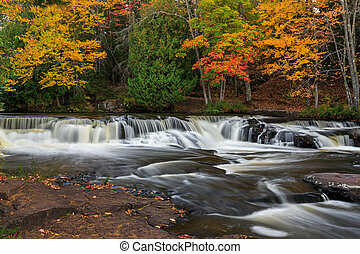 Whitewater cascades over rock ledges with intensely colorful fall foliage all around at Bond Falls in Michigan's Upper Peninsula. 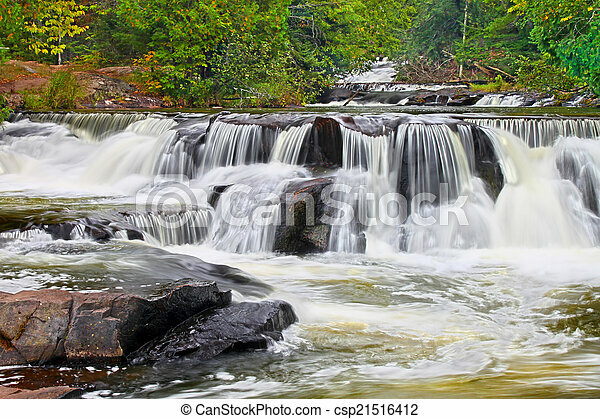 Silky smooth whitewater, photographed with a long exposure, cascades over the rock ledges of Bond Falls, a beautiful waterfall in the remote woods of Michigan's Upper Peninsula. 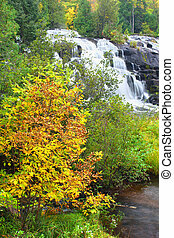 Colorful autumn foliage surrounds a cascade at Bond Falls, a very beautiful multistage waterfall in Michigan's western Upper Peninsula. 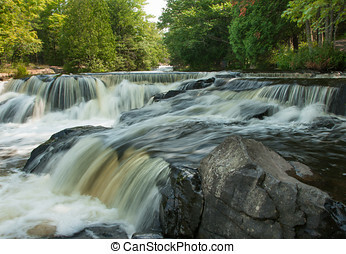 Whitewater courses over boulders and ledges at Bond Falls State Park in Michigan's Upper Peninsula. 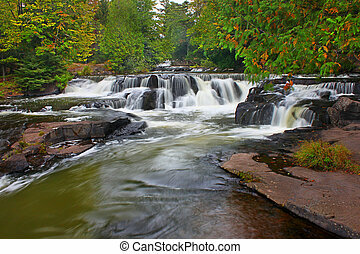 Bond Falls is a beautiful waterfall in the upper peninsula of Michigan. 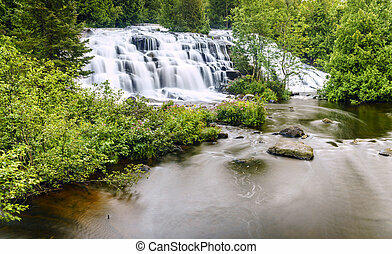 Bond Falls is a spectacular waterfall on the Ontonagon River in northern Michigan. 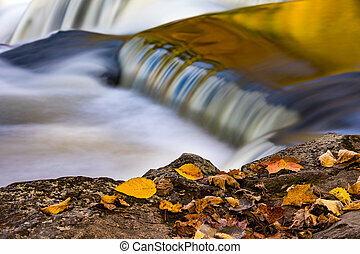 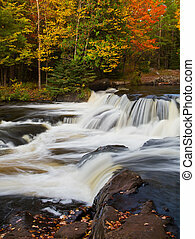 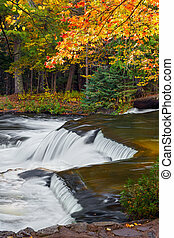 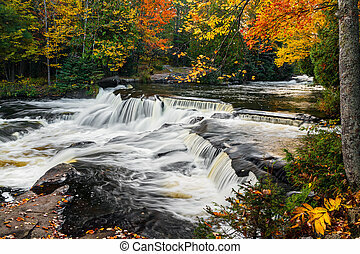 Autumn foliage surrounds the cascading waters of Bond Falls in northern Michigan. 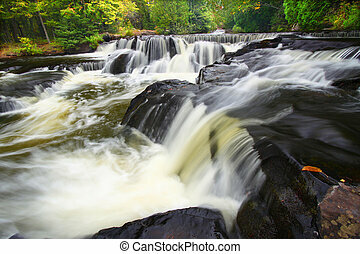 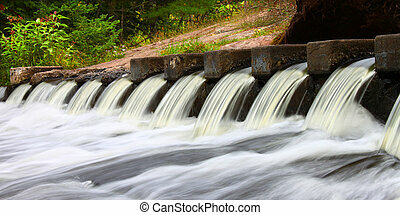 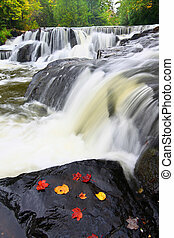 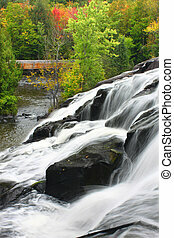 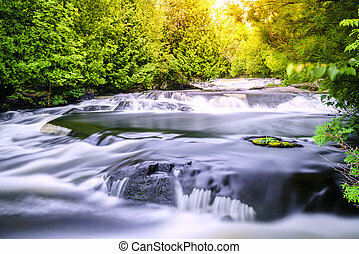 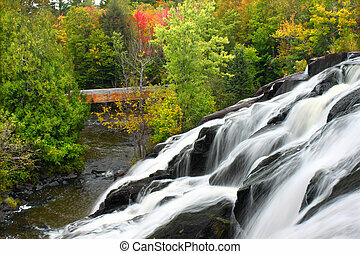 Beautiful Bond Falls flows through the forests of northwoods Michigan. 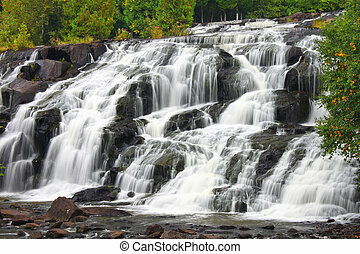 Cascades of water at the Bond Falls Scenic Site in Michigan. 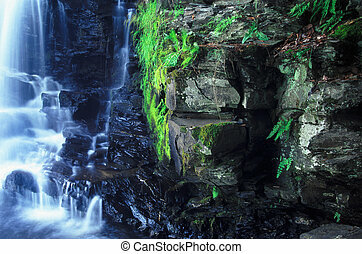 Vegetation grows along a dark cliff of Powerhouse Falls in northern Michigan.